Okay, so it’s already the middle of March, but I still want to share what I’m looking forward to this month! Normally I would have shared this post on March 1, but with my site being completely redesigned I got a little behind. Sorry! Before I get into some exciting March releases, I want to encourage all of you to see Brooklyn. It was my favorite movie of the past year, and I’ve noticed it lately on Pay Per View. If you haven’t had a chance to see it yet, I highly encourage you to spend the few dollars to see it. It’s moving, beautiful storytelling of a fascinating period in our nation’s immigrant history. 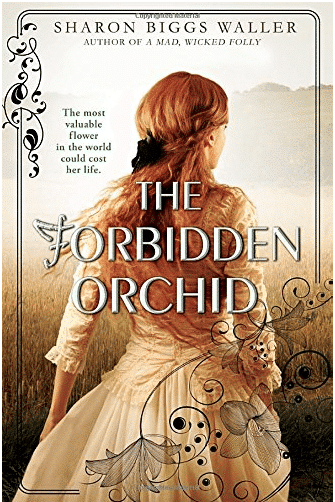 ToriAvey.com contributor and my dear friend Sharon Biggs Waller’s second novel The Forbidden Orchid was released on Tuesday, March 8. It’s a young adult historical and tells the story of a British teen named Elodie. As the eldest of 10 sisters, she has fallen into a caregiver role and has never left her small English town. When her plant-hunting father owes a debt that could lead his family to ruin, Elodie must convince him to return to China to search for the rare orchid that will save her family. When things don’t go according to plan, it is clear that Elodie must accompany her father and leave behind the only life she has ever known. Sharon is a fabulous writer who pays meticulous attention to detail. Her female lead characters are strong voices of early feminism and she always manages to weave historical fact and fiction together in a beautiful way. I loved her first novel A Mad, Wicked Folly and am really looking forward to traveling back to the 1800s in this one! The Little Prince is a classic, and I am so excited to see it come to life on the big screen. Author-illustrator Antoine de Saint-Exupéry created the story, sometimes referred to as an “adult fable,” to be enjoyed by both adults and children alike. If you aren’t familiar with the book, it tells the story of a pilot who, while stranded in the desert, encounters a young prince from asteroid B-612. The prince tells the pilot about the people he has met on various planets during his journey to earth – each planet representing a metaphor of human nature. The main characters in the film version are voiced by big names like Marion Cotillard, Jeff Bridges and Benicio del Toro. It will be released in theaters on March 18. 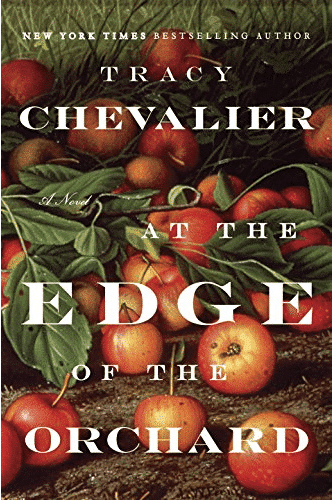 I am really looking forward to getting my hands on this new historical fiction novel by Tracy Chevalier. From what I’ve gathered, the book covers two stories – one of a family struggling to earn a claim to their land by planting an apple orchard with saplings from Johnny Appleseed (who I’ve discussed previously on the site). The other story takes place 15 years later, when the youngest son leaves for the California Gold Rush (which I’ve also covered in a previous post), and is haunted by his decision to leave his family behind. I love that this novel covers some of my favorite historical figures and time periods. I haven’t read any of the author’s previous work, though it has received much acclaim and I have high hopes for this one. At the Edge of the Orchard was released on March 15. Purim is such a fun holiday and begins this year on the evening of March 23. If you’re interested in the history and meaning of the holiday, click here. 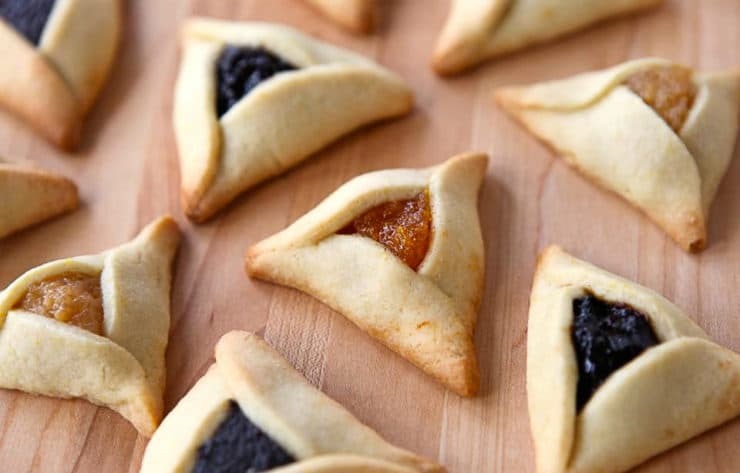 My Purim recipes can also be found here! 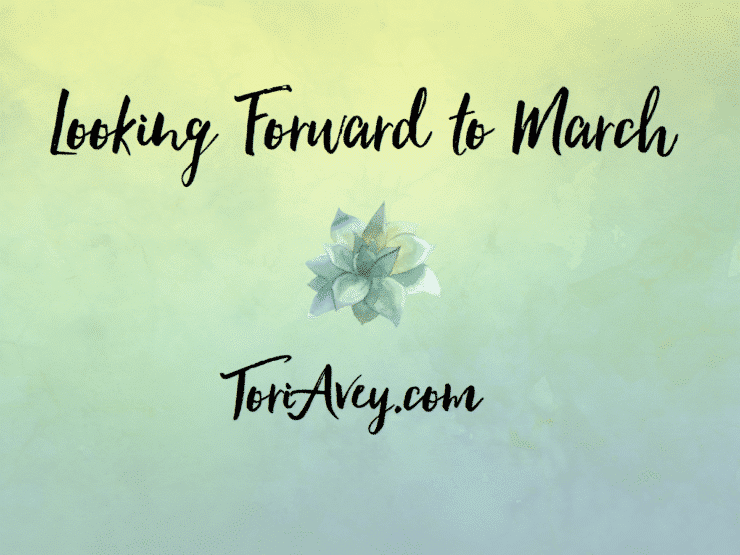 Don’t forget to let me know what you’re looking forward to this March! Will be making your Hamentaschen.